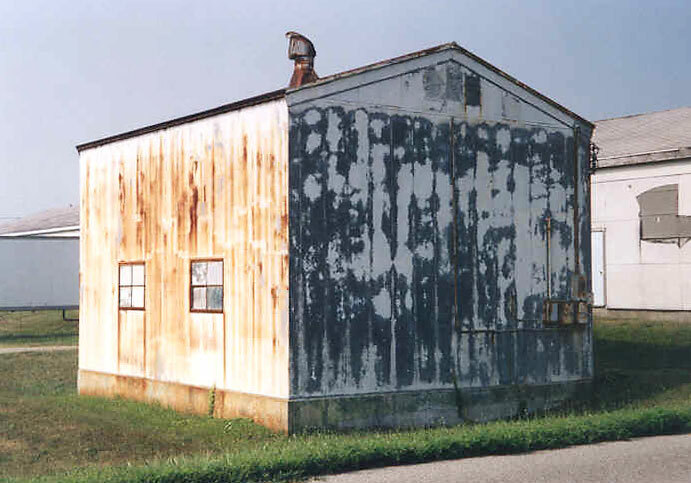 This building is T-117 today, it was used for the storage of a "Mule" type switching engine for the Bakalar Air Force Base railroad system. 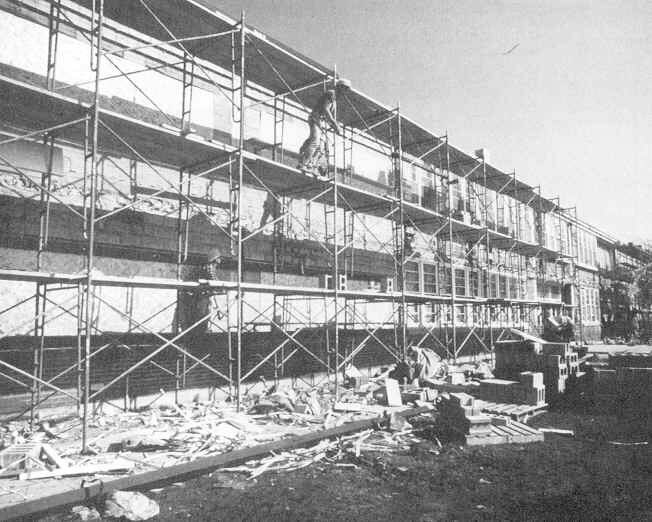 A T-115 building of similar construction, shown in 1955. 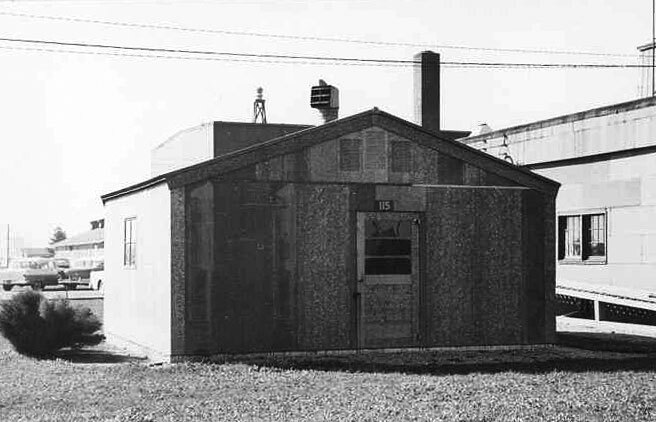 This building is T-40 Sanitary Latrine as seen in 1955, interior and exterior views. 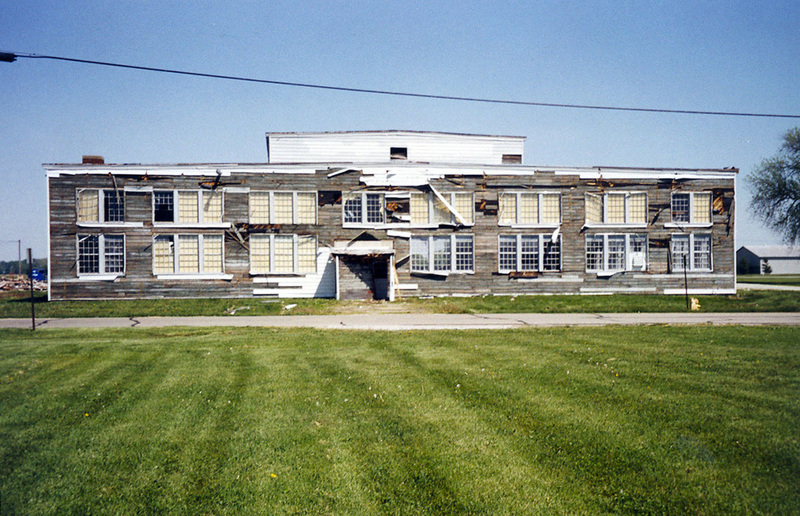 This series of photos was taken in May 2004 during the demolition of Building T-110. 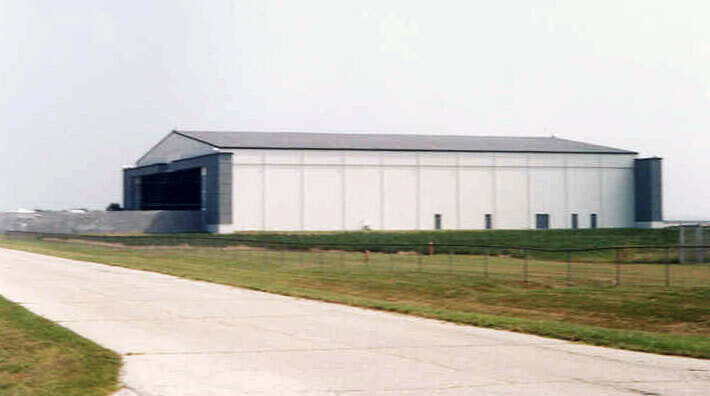 The hanger building T111 can be seen next to T-110. The photo on the right is of the concrete foundation after the debris was cleaned up. 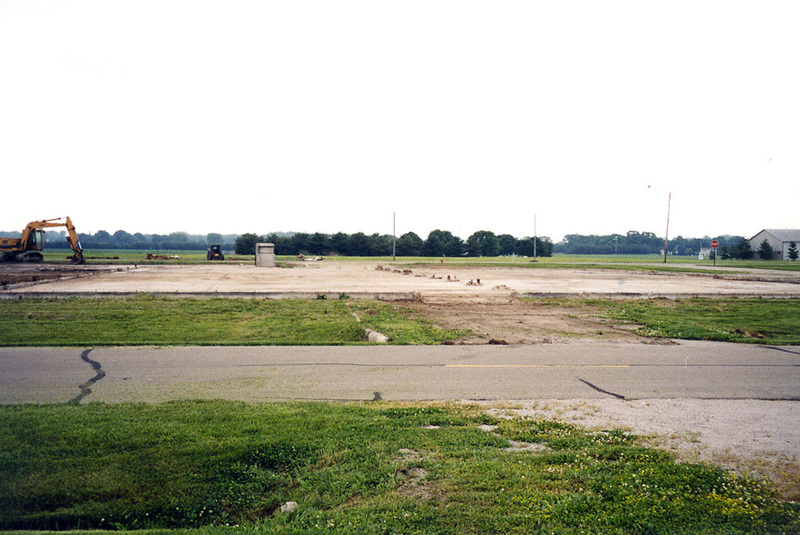 Current photo T-111 Reserve Hanger front view and view from over the old foundation of Building T-110 demolished in May 2004 with T-111 side view in the background. 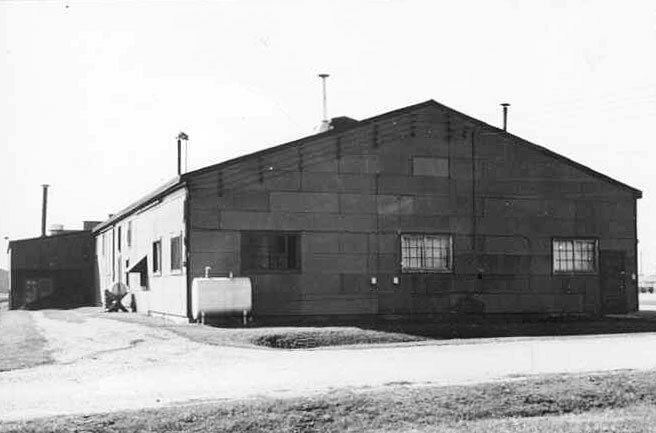 T-111 Reserve Hanger as seen today in the first two photos and as it was in 1955 on the last photo. 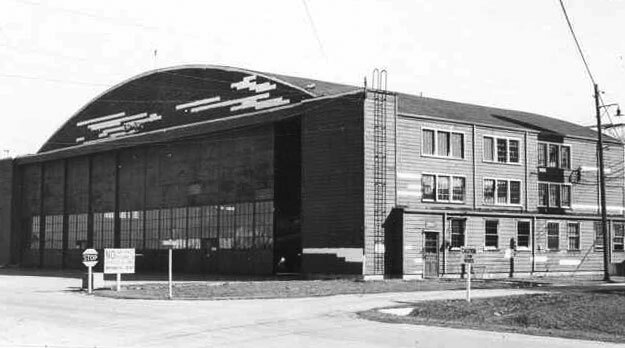 This is now the "Rhoades Aviation" hanger and is located next to the current airport terminal building. 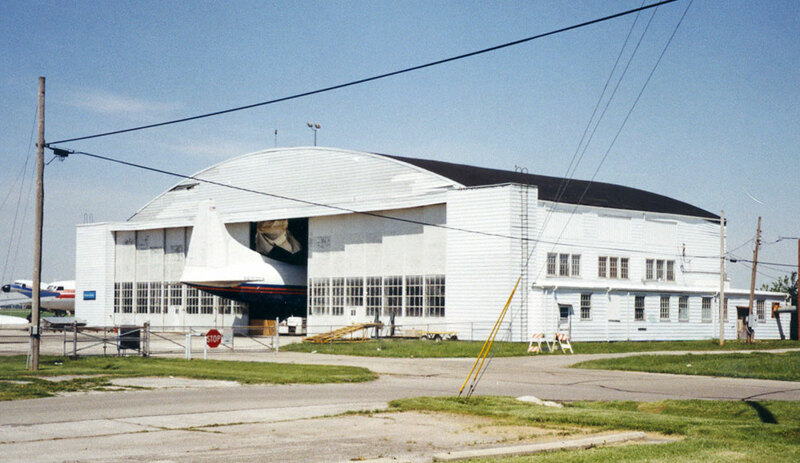 Special Note: Building T-111 Reserve Hanger is scheduled for demolition in the near future. 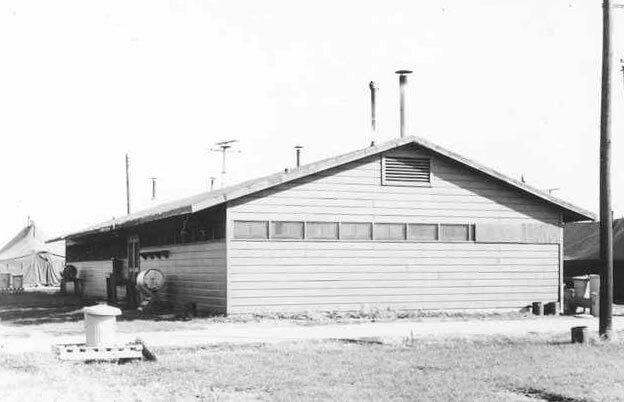 Many of the buildings constructed during WWII had tarpaper siding and were upgraded to a more permanent siding in the 1950s. 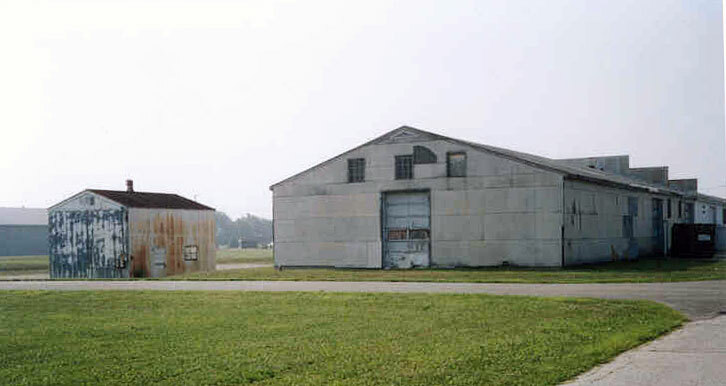 Building T-101 is to the South of T-104 and has been updated with modern siding and has a more current look. Buildings T-85 and T-86 still remain and are to the south of T-104-101. 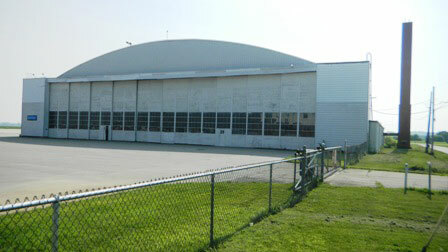 This is a current day photograph of building T-856 Maintenance Hanger, built for the C-119G aircraft stationed at Bakalar Air Force Base. 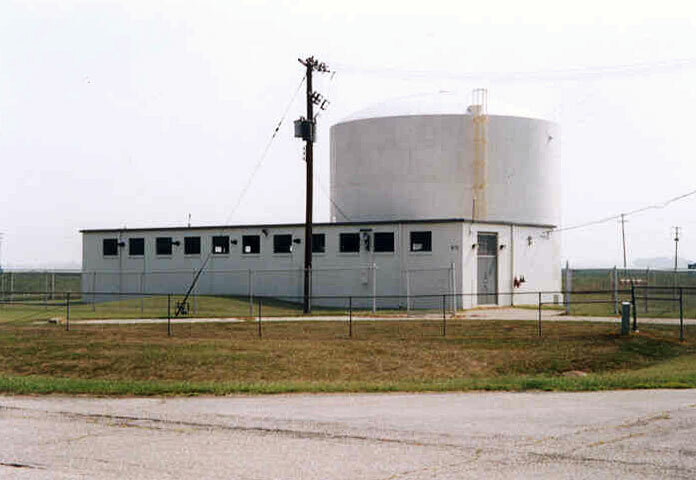 This hanger was built in the late 1950s along, with the hanger's Deluge Building T-870, and water tank. 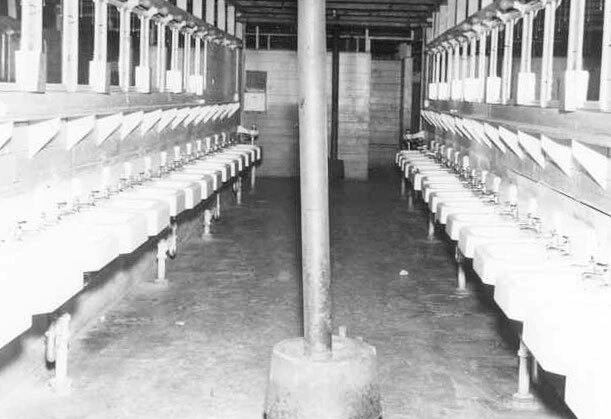 Today this is known as the "Cummins Hanger." 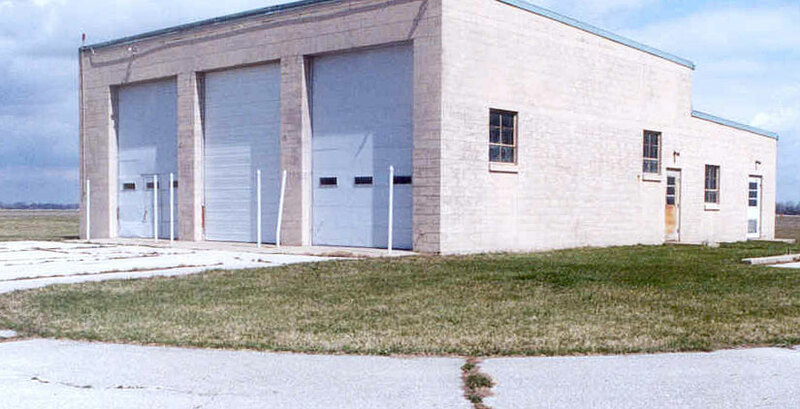 The former Fire/Crash Station, built in the late 1950s, which is now used to house airport equipment. In the bottom photo, you can see the control tower and former reserve hanger. An April 11, 1960 photo of T-856 and T-870. 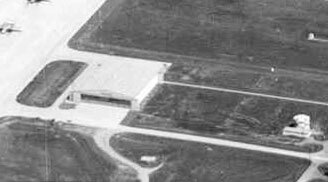 At the time this photo was taken, there were 26 C-119s on the ground, with one on the runway, and a C-46 near T-111 Reserve Hanger. 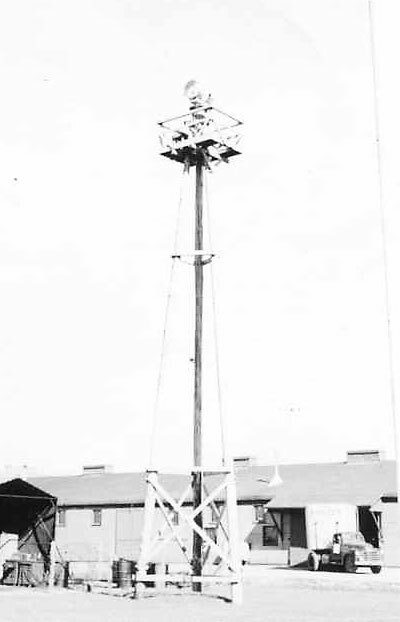 This is the rotating beacon T-151 in the vicinity of the Motor Pool area, in 1955, before it was moved to its current location some time in the late 1950s. 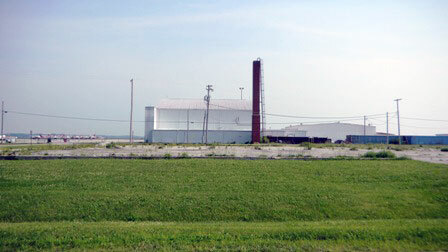 The beacon is now part of the Bakalar Green complex. 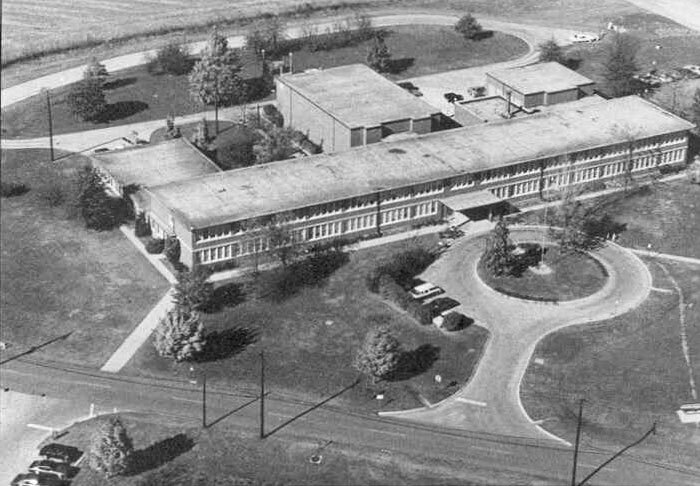 Building T-200 Base Administration and Training building is in the bottom of this April 11, 1960 air photo. 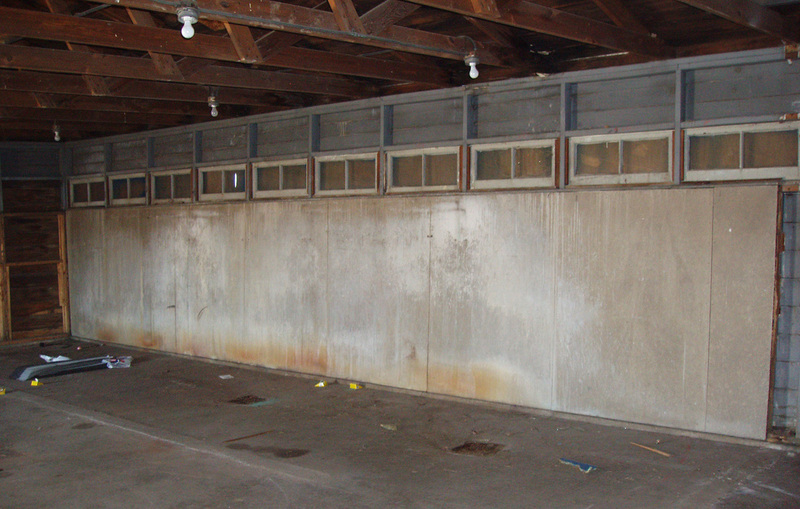 This building was built in the late 1950s and not part of the original WWII construction. 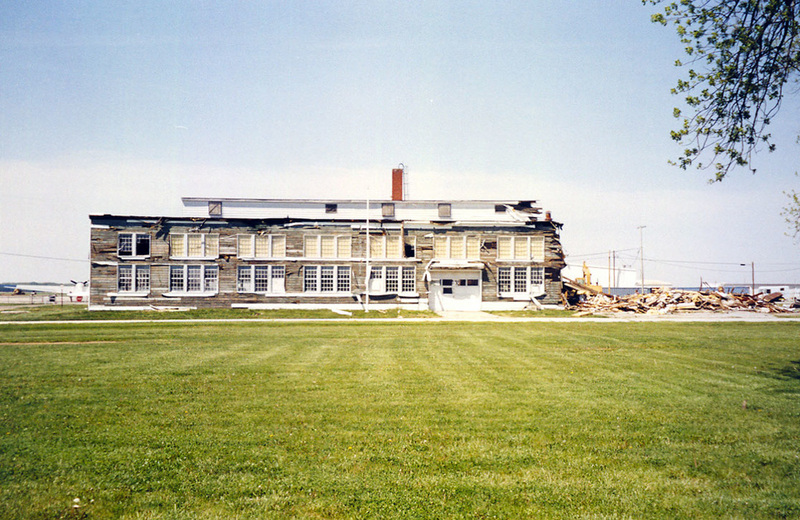 The building as it looked before civilian renovation started in August 1984. 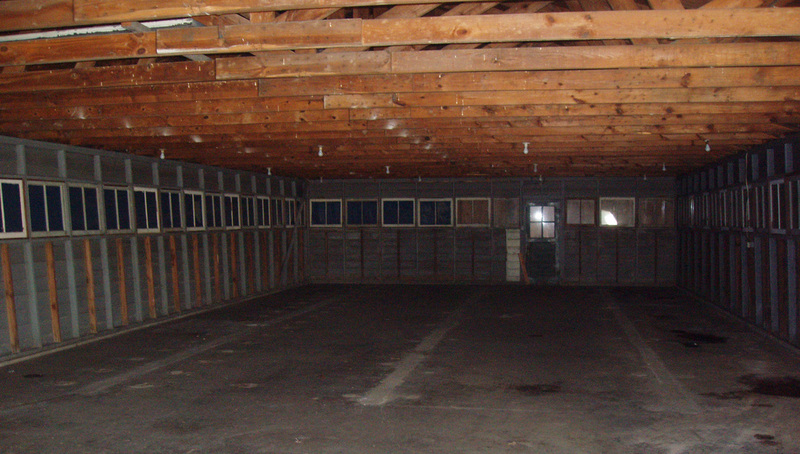 A photo of T-200 being renovated for Indiana University Purdue University Columbus. 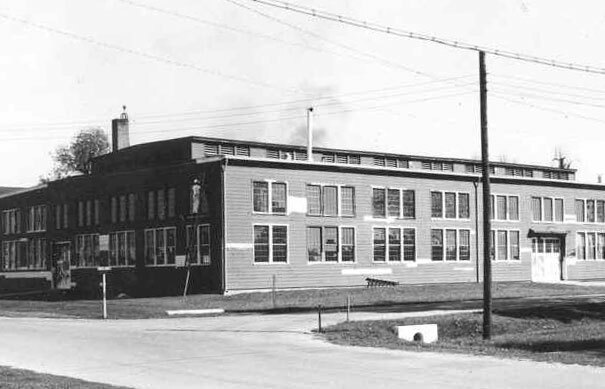 The building is still in use today by IUPUC. 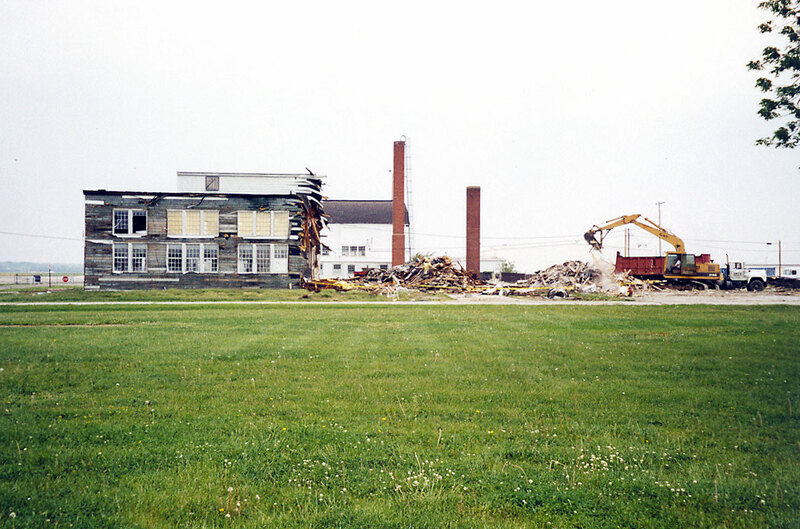 Thanks to Lynne Sullivan of IUPUC for the T-200 historical photographs. 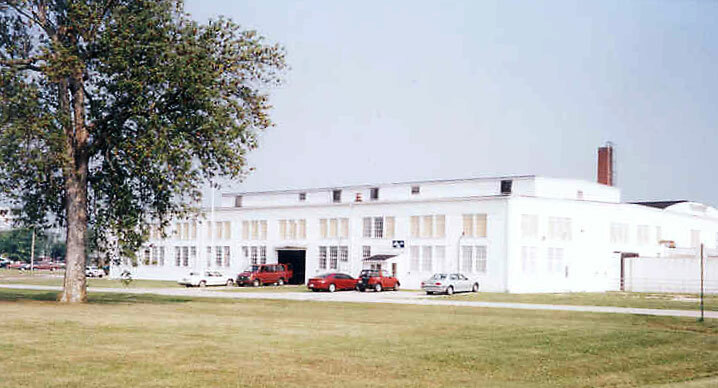 Building 200 when it was the base headquarters. 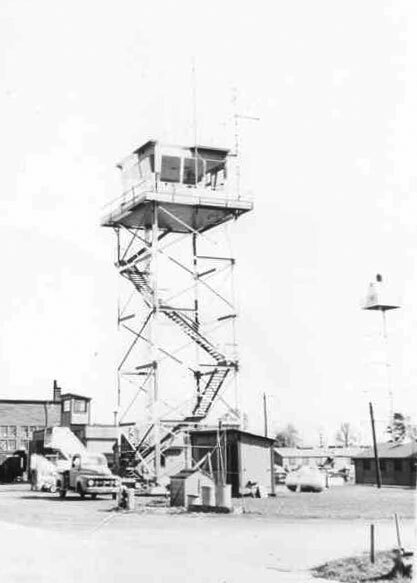 Control Tower Building T89 is still standing and in use today and is over 60 years on the same site. There seems to be a little confusion about the metal control tower, as some believe the original was of wooden construction. 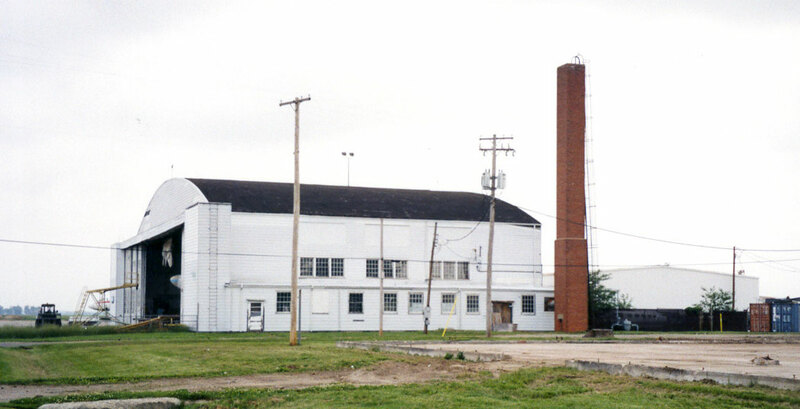 All historical photographs indicate the current tower is the original location. Every photograph from the 1940s to today show the same tower location. 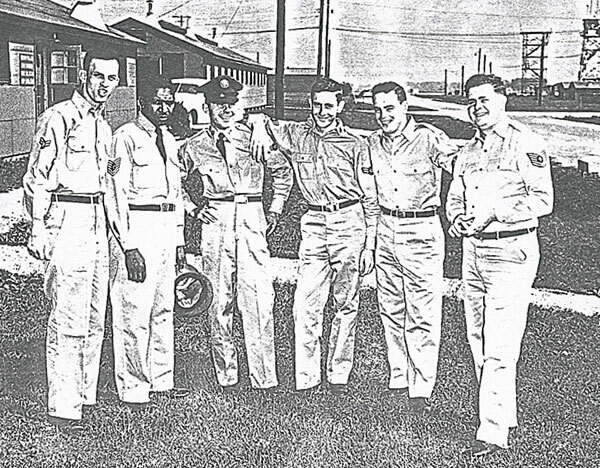 In the early 1950s there was a second temporary tower used as a fire alarm tower and at noon each day there was a fire siren drill, according to James Landrum, who was stationed at the base in 1953-4. In the second photograph, you will see that temporary tower. This is probably where the confusion comes in as this tower was removed. James is fourth from the left in the third photo with the temporary tower and control tower in the background. 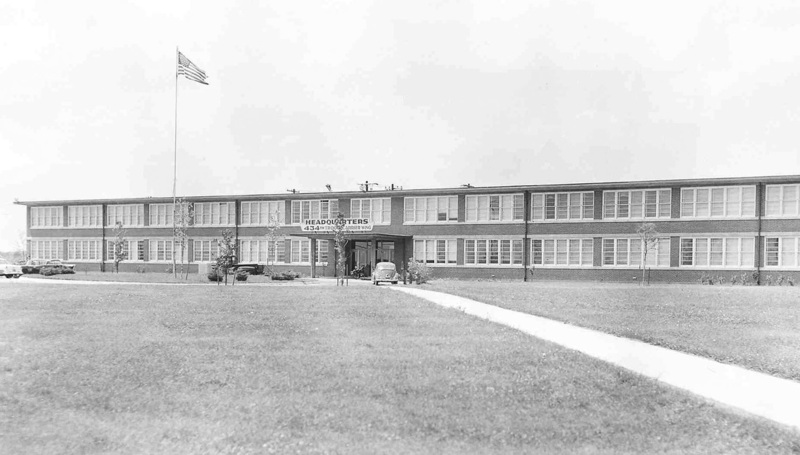 A 1940s photo showing the control tower, on site today. 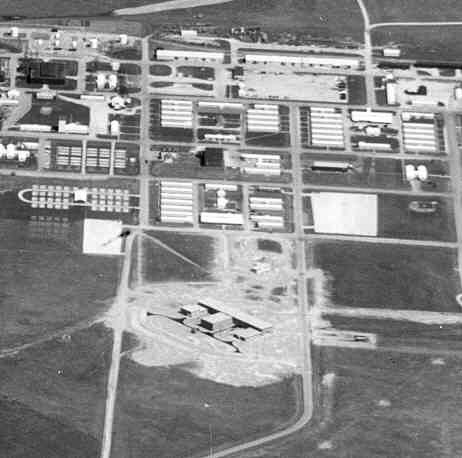 The Atterbury-Bakalar Air Museum is on this street shown in the middle photo and to the left of the control tower. Building T-40 Sanitary Latrine is on this same block and is now used for storage. It is just a few feet south-west of the museum. 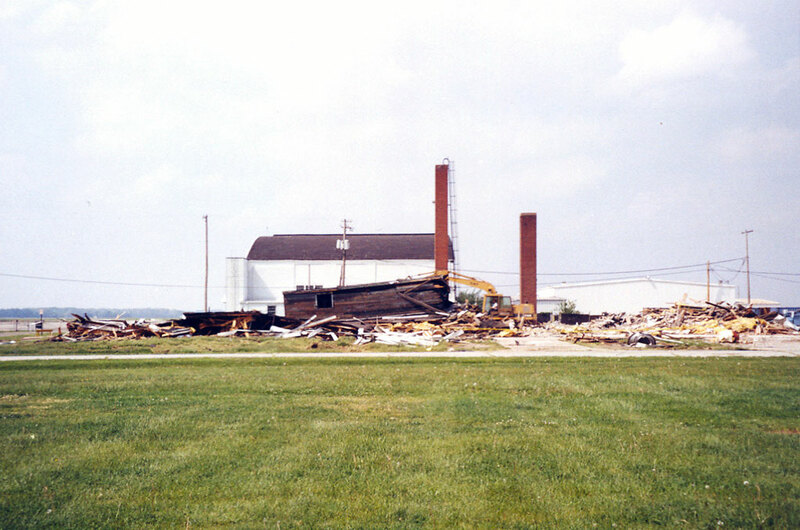 If you have any information, photos or documents indicating any tower reconstruction, please share it with the museum. 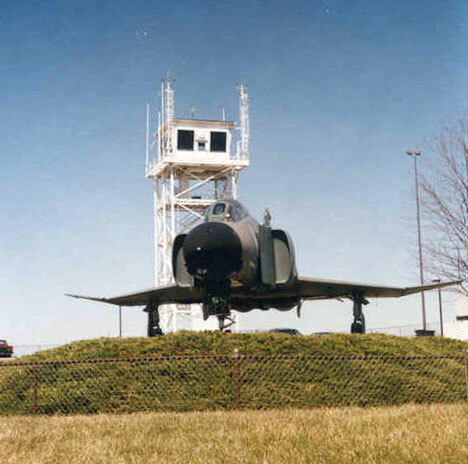 At one time an Air Force mobile tower was on base during some tower updates.